Are you looking to sell your house in a relatively short amount of time? 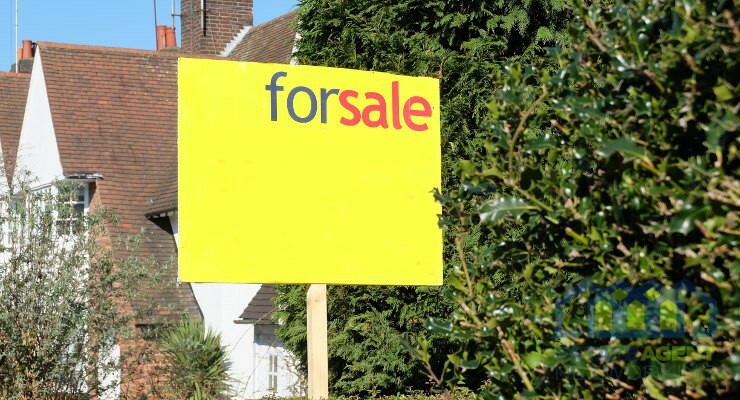 There are plenty of reasons you might want to sell the property quickly, but given the fact that a house stays on the market for an average of 3 months, you may want to do a few things to increase the chances of selling quick. If you are relying on a quick sale you may want to consider a cash sale. Visit readysteadysell.co.uk to find out more. We are going to look a few tips you can implement today to sell quickly. No one wants to purchase a house that’s going to ask for more money in terms of repairs. As such, it is imperative that you do those repairs, whether major or minor when selling a home. Fix any fittings or fixtures that are damaged like kitchen tiles, cupboard handles and holes in the walls. It’s ideally best to replace worn-out carpets as this can easily put off potential homebuyers. When staging your property for viewings, it’s important to ensure that it’s tidy and clean. The last thing you want is to give the impression that the house is unlivable. Cleaning it will make it look more presentable. Your property’s exterior is the first chance to amaze the potential buyers and make them interested in seeing the inside. Small things can make a substantial difference to the kerb appeal of your home, so ensure you trim the bushes and grass, move then bins out of view, sweep the paths and get rid of anything unappealing. To add a touch of colour, consider buying hanging baskets and plating a few bedding flowers. Such additions really make a statement and create a focal point for the outdoors. Ideally, ensure that you clean any patio regions. A properly maintained yard can help potential buyers visualize themselves using the space. Also, do not forget to freshen up any outdated or dull exterior fixtures like garden furniture or fences an ascertain that the exterior windows and doors are clean and in perfect condition. If the prospective buyers can’t envision themselves living in your home, it only makes the decision-making process harder. People usually find this hard when searching for homes and this is primarily due to clutter. As such, consider relocating any heavy furniture and declutter as much as you can. However, leave some of your personality to make it look like a home. Neutral colours and open spaces usually make small rooms feel larger and make it easier for the prospects to imagine their possessions in the home. Unpleasant smells are an instant turn off when it comes to purchasing a house and so, you’ll want to ensure that your drains and sinks are clean, the interior is aired out and the food bin is disinfected. Real estate agents are known to use pleasant smells to sell properties. Freshly baked cakes, cookies and bread are popular but tend to be impractical for most sellers. However, lighting a scented candle or brewing fresh coffee can certainly help lend a homey feel during the viewings. Pale greys and light blues are excellent choices for interior paint and give a warm, inviting and relaxing feel to a house. This one might seem a little counter-intuitive, but spending some money before selling can really pay off in the long haul. Simple updates like adding new cabinet doors or replacing bathroom tiles can make a world of a difference in the value and saleability of your home. A reputable real estate agent can give you advice on what updates and conversions are the most rewarding and what potential buyers are looking for in when searching for houses in your region. If you have adequate finances to make a conversion, consider making your loft space into an additional room or build a conservatory for extra space. Such updates add value to the property and lure even more buyers. Ensure that your windows are dressed correctly with curtains or blinds as windows without such tend to look and feel impersonal. Properly mounted mirrors can ideally make a room feel larger and are excellent for providing an airy and light feel to dark spots. You can also add a touch of colour by buying indoor plants. Fruit bowls are ideally an excellent option. Throws and cushions are excellent inexpensive options for adding colour to a room and lend a comfortable and warm feeling. Finding a reputable agent is vital in selling your property fast and for the correct price. The professional will value and market your property to potential home buyers, liaise with solicitors and handle viewings. Also, ensure you hire a real estate agent who knows your local region and housing trends as they are vital in making a quick sale. You can get a reliable agent through recommendations from friends and family. However, it is imperative that you do your own research, especially online to ensure you are getting the real deal. You will come across comparison sites online which give you useful information regarding estate agents in your area, information about the housing market and even their contact information. Online reviews can also help you get an idea of the person you’re considering hiring. At the end of the day, all this information will help you make an informed decision. And there you have it, a few inexpensive and easy to do tips that will help increase the chances of selling your home quickly.